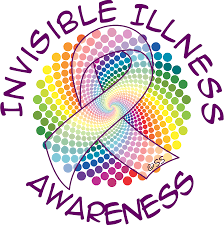 So as you will know, I myself have been going through diagnosis for 2 years now, and most of my illnesses are invisible. 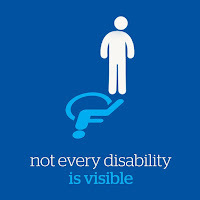 But there is alot of stigma attached to those who are disabled yet it is unseen. Those people who need a wheelchair part time, those on countless amount of medication, those people are not just abusing the NHS or the Health Systems, they are actually ill, and the abuse and ignorance of other people make them feel they should hide away. Hence why I'm writing this blog post. 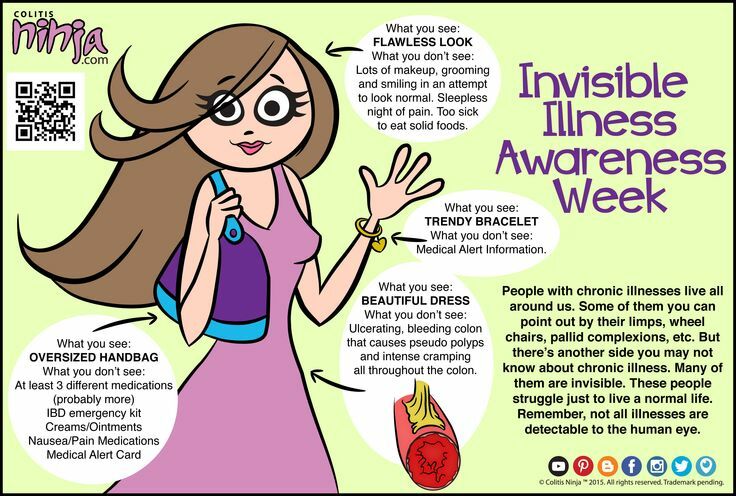 An invisible illness is a condition in which people may look normal most of the time, but may have problems internally or unseen by the naked eye. The conditions are usually chronic and life lasting, and some can be life-threatening, or excruciating. And most people forget, that mental illness is also an invisible illness. - Hypermobility Syndrome and EDS. I bet some of you have heard of some of these? Don't seem that important right? Or maybe you have, and you yourself have a debilating invisible illness. Or a family member does? Do you know their impact? Or what stigma can really create? So then 10 years later, I started having digestive and abdominal problems. I started my period 2 years prior to this (Apparently my body has a 2 year delay system), so I pushed my abdominal and pelvic pain off as period pain, but the digestive problems were horrible, I felt I couldnt eat anything without feeling bloated and nauseous. After various tests I got diagnosed with IBS, it wasn't surprising since it runs in my mum's side of the family. But something still wasn't right, I had major aches and pains in my joints, anxiety, I could barely write. I had to have a special keyboard in school sometimes, as it was just too hard to write, especially in timed conditions. I got referred to a rheumatologist, and was told I had Chronic Joint Pain Syndrome. I was told it is a form of Childhood/Juvenile Arthritis, and is also related to Joint Hypermobility (I don't have this, but it wasn't surprising when my niece was diagnosed) Arthritis was another thing that ran in my family, especially since my Dad had it. The worst thing was, the doctor told me it was due to being bullied, after assessing me. My body was aching due to the fact I had been smacked/thrown thing's at, and it wasn't processing normal activities, and causing " my body to be anxious". It can also create sleeping problems and cause a period of depression. My sleeping pattern was either never sleeping or sleeping for 20 hours. There were times I would go into school with no sleep, I was surprised I could stay awake for so long. He told me by the time I'm 16, I should grow out of it, and if I don't I have to come back. After a year of strong NSAIDs and other things, the pain did stop, however once coming off all the medication, the pain came back but worse. 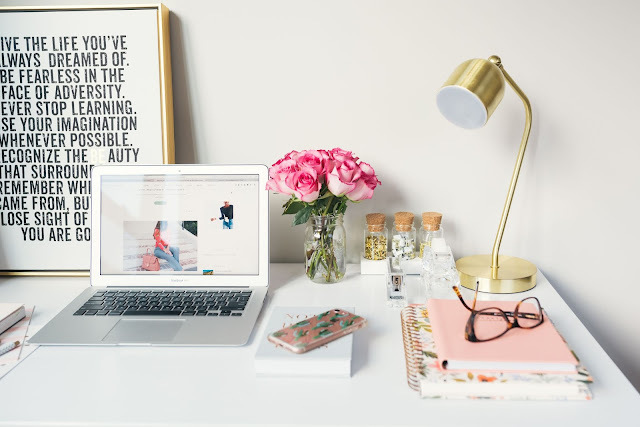 I had to teach myself how to write or type in a quick fashion, otherwise if I didn't, I wouldn't get any work done, if I typed fast enough, then I'd get more work done and little pain. I never told my parents the pain came back, as I was a "hospital child" and I hated my parents going through so much with me, my siblings never went through this much. I just told myself it would go away. Over 3/4 years later (now 18 years old) they believe my CJPS was the start of a condition called Fibromyalgia and the Insomnia I had alongside it must be Chronic Fatigue Syndrome, which is very common alongside all the things I already have. Then I turned 16, and my abdominal pain was worsening, I just started college and found my boyfriend, and I thought everything was great. Then 2 weeks into college I woke up one morning and couldn't move. I managed to force myself in agony to the toilet (I have a weak bladder), and once I got on that toilet, I told myself, that I wasn't moving. I had to be forced to the hospital, and admitted to a surgical ward. I did various tests, I was told one minute I had appendicitis, then an eptopic pregnancy, then an ovarian cyst. The tests didn't bring anything back, so I was told they needed more blood samples and wee. I was so weak, the needles made me sick and pale, and constantly weeing really hurt my bladder. I was told it must be appendicitis, and I would have to have surgery as soon as. This was another one of my fears, never having surgery before, I panicked, kicking off my asthma. I was told since I was 16 my mum could be with me 24/7, but I asked her to go home. The next day, they came in and told me I would need an IV as I wasn't eating and needed fluids. This also triggered my asthma, I refused, and threatening the doctor (Oops!) he said I dont actually need it. Then the surgeon came in, and told me my blood tests came back, and I indeed had a hormone inbalance. Apparently my body reacted badly to the birth control I was on, messing up my body chemistry. They told my oestrogen was through the roof, and I now have to go through life mostly emotional and moody like a young teenager. I was furious, this pill was suggested to stop my pain and now it would make me worse as a person. A few months later, after being put on another pill, nothing had changed. Hence my endometriosis journey had started. I was told aswell, I had Depression Associated with Physical Illness. I wasn't surprised as I spent most of my time in my room, or crying myself to sleep. But I did not class myself as fully depressed, my depression was due to my symptoms, there are people out there who have actual depression, and I did not want to abuse that term. Before all this endometriosis journey started, lets go back to when I was younger. I was told from a young age, I was a very sick child. Going the hospital due to bladder problems, I've had tonsilitis atleast once every 6 months since I was young, and other various infections. A few months ago I had various tests done to test my immune system. I was fobbed off, "She has nothing wrong with her anyway so don't expect anything". They did more blood tests, and a week before my surgery, I was told I have signs of a primary immunodeficiency. As there are over 250, they said the most likely one is CVID (Common Variable Immune Deficiency) as I had all the signs, but they weren't sure, and needed more tests to be done. I have also been referred to a gastro, due to the findings in my lap, as they believe I may have an IBD, Polyps, an Ulcer or Heammaroids, this is alongside a Urologist, to check my bladder, for UTI, Cystitis, OBS and other things, as there have been alot more problems there (and you can read more about that in my post The Sigmoidoscopy and Me). This is my life as an invisible illness child, and I'm not the only one who has had to grow up like this. Many people don't find out their problems till a later age. 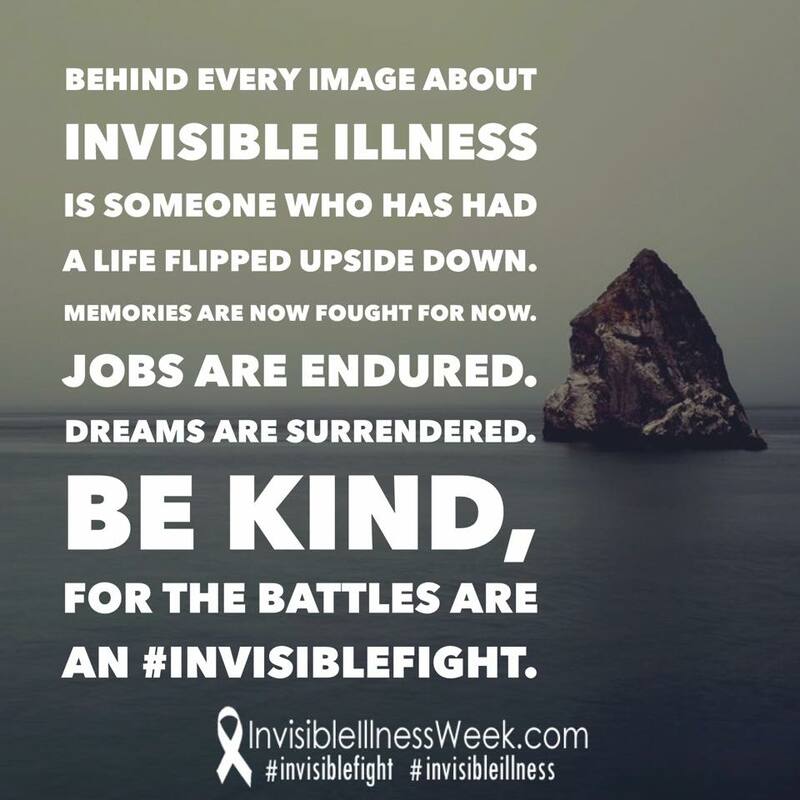 And most invisible illnesses run in families. My Mum - Chronic Migraines, IBS, COPD and Chronic Back Pain. My Dad - PTSD, Osteo-Arthritis. My Niece - Joint Hypermobility Syndrome, Hypertonia, Anxiety, Possible IBS. My Nephew - Possible IBS. My Grandad - Everything I have plus a B12 deficiency, aneamia and Arthritis. Isn't that strange? Not really. As Ive had a long and hard process, I wanted the word to get out. 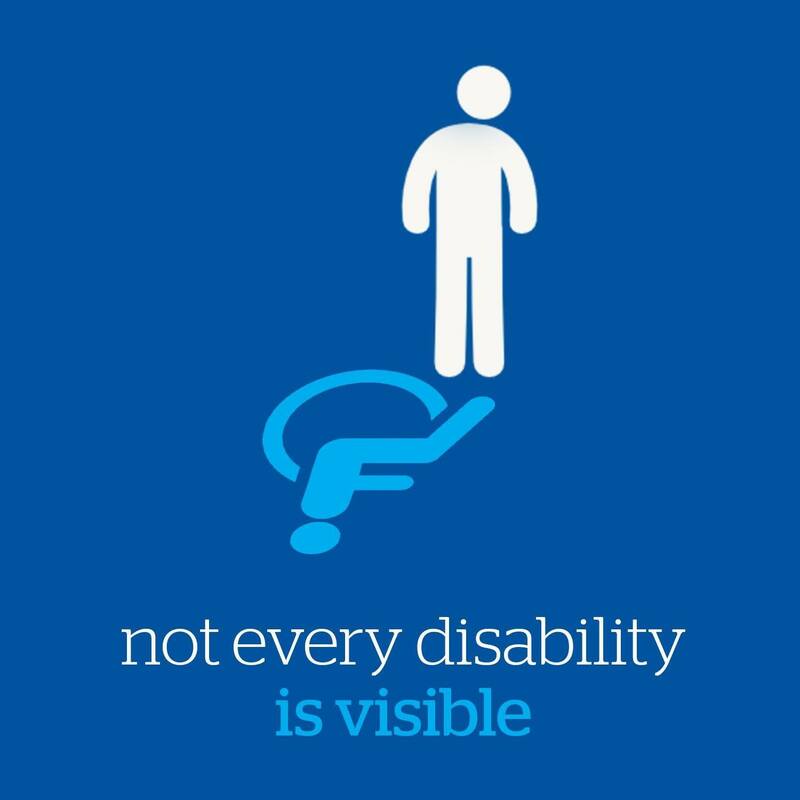 Disabilities can be invisible too, and usually it is not just one. People have a full list of them. So next time you see that girl get out of a wheelchair, and walk to something, don't judge. Or you see a man who looks quite abled and normal, pick up a whole bag of prescribed meds, dont judge. Or when you see that person fall over or being sick, and blame it on her being clumsy or acting drunk, dont judge. You don't know what's going on in their lives. Nor should you do it if it is an actual person. - Be sure to do your own research on your child's illnesses. Understand what they feel like, or even ask them how they feel. Don't try and step on egg shells around them but try to understand if they refuse something or are acting strangely, it's not that they are trying to be a "tempered" child. - Go to appointments. Sometimes for young people, they're too scared to talk or may get "white-coat" fright, and not mention everything wrong with them. Also doctors are 10 times more likely to listen to a parent than a child, so try to always remember your child knows their own body, so listen to your child. - Respect they can not always do what you do. They may cancel plans, may not be able to go certain places/restaurants, and they don't do it on purpose. - It is not special treatment. Most chronically ill people do not want the extra attention but may actually need it to feel better about themselves. For example; in school, may get more time on an assignment. - It is not a competition. If you have an illness/illnesses yourself, and your friend gets diagnosed, it is not time to tell them how better they have it then you. Someone with one illness, may have it worse than a person with over 2. - Do research yourself. See what symptoms your friend may have, so you can analyse when they're having a bad day. - Be careful what you listen and hear. Sometimes jealousy of the extra attention can spark rumours, if you were a real friend, you'd listen to your friend. Understand, that to a certain extent they may be a little different or distant. And if they tell you something, keep it to yourself until they tell other people. It would be the same if it was vice versa. Share your story with me in my comments, or join my groups linked up below. 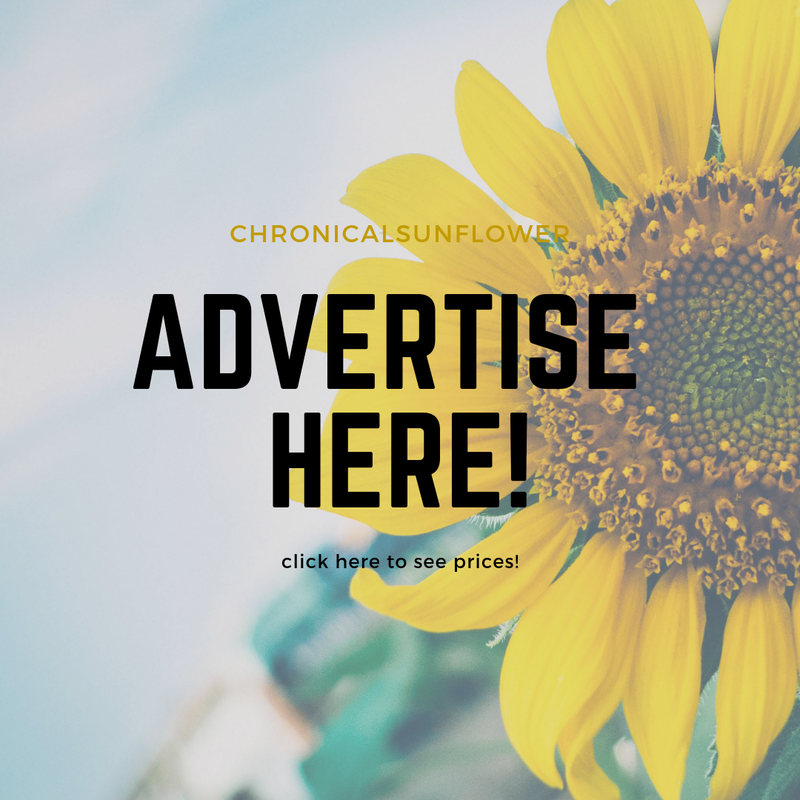 I created my blog and my groups due to the fact Ive had to go through most of my health problems alone. I havent had someone whos going through the exact same thing as me. 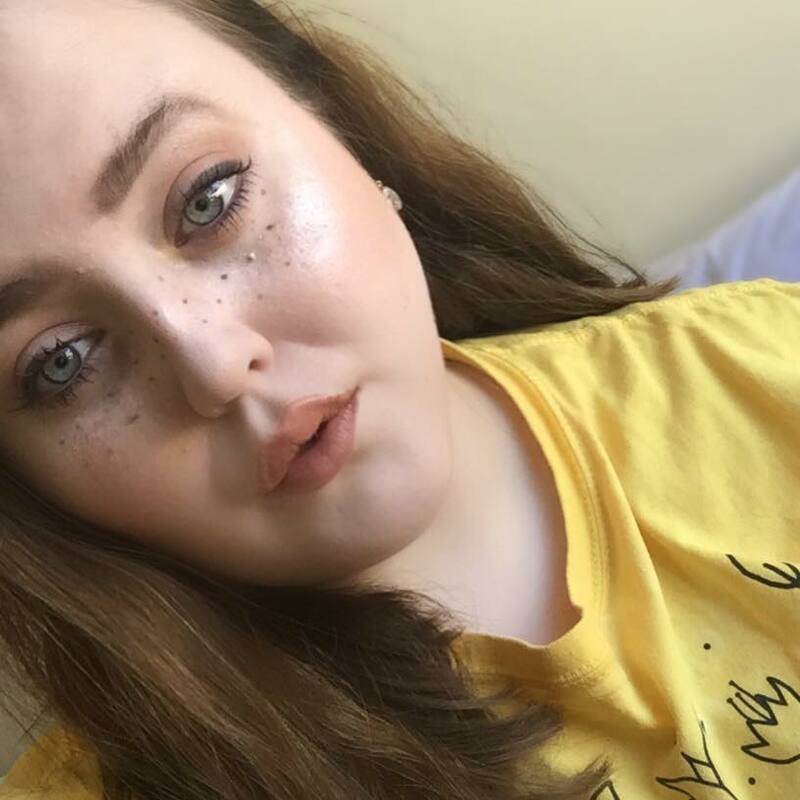 But once I went online and joined groups, liked pages, I got the confidence I needed to not be afraid to ask for help, or talk to people about my problems. Ive also realised why should I care about what others think? I know my own body, and they dont. I know I'm ill, who are they to say I'm not? Who are they to say you arent? Come join us! Great read. 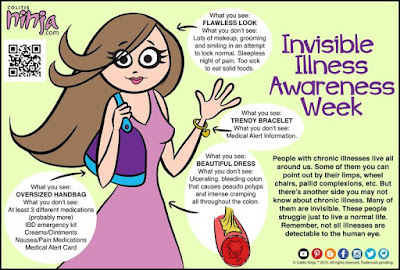 Not a lot of people seem to know about #invisable illness. I thought it was well known but found it to be something people don't discuss much.